Thinking about Selling in Tampa? Need to Sell by Shortsale? Maintenance-free Villa in the lovely Westmont Oaks subd. No CDD. Two bedroom with den. Large open living spaces make this home feel very spacious and bright. Perfect for entertaining. The kitchen features 42" wood cabinets, a breakfast bar and loads of counter space. New kitchen appliances. 10’ or 11” ceilings throughout add to the feeling of spaciousness. New carpet and interior paint. The huge family room has the Builder optional Flex Space 9 X 15 extension making this living area feel open and inviting. Plenty of room for entertaining, lounging and just living. The large Master bedroom suite has a walk in closet, double sink vanity, walk-in shower and a separate Kohler cast iron soaking tub. Large formal dining room. The Den is central to the home and can be open to the other living areas or closed by shutters and double French doors. The large second bedroom is at the front of the house away from the Master and features beautiful wood shutters and “bumped out” (Bay) wall in the front. Nice size utility room. The washer/ dryer stay. New energy efficient Eight ft sliders in the back lead out to the large screened Lanai. Great corner lot. Westmont Oaks is a very well maintained gated community with a pool. 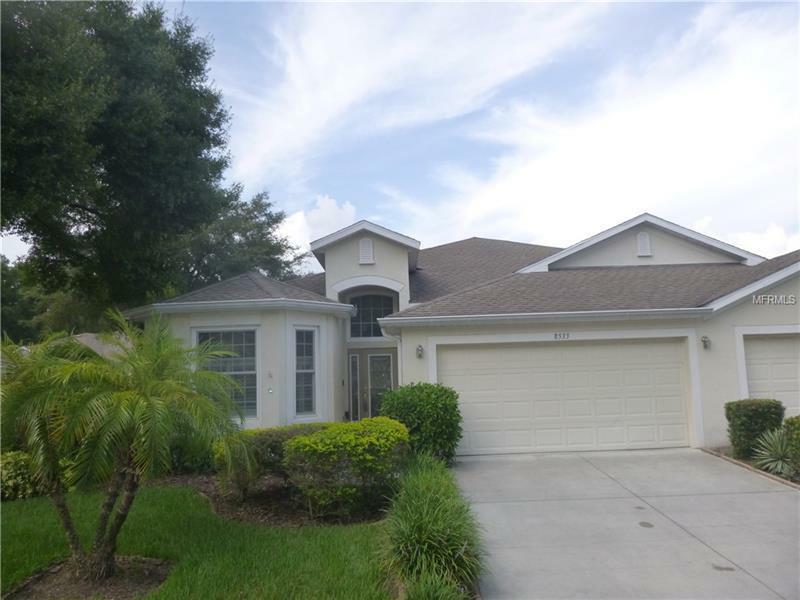 It is conveniently located just east of Westchase and minutes from the Veterans Expressway and Citrus Park Mall. Copyright © 2019 Mid Florida MLS. All rights reserved. The data relating to real estate for sale on this web site comes in part from the Internet Data Exchange Program of Mid Florida MLS. Information provided is for consumer's personal, non-commercial use and may not be used for any purpose other than to identify prospective properties consumers may be interested in purchasing. participates in the MFRMLS Internet Data Exchange (IDX) program, allowing display of other MFRMLS broker's listings on this site. However may not include all listings currently available. Information is deemed reliable but not guaranteed. Information last updated at 2019-04-23 06:48:33.